Thank you Sue and Anil! Appreciate your comments! 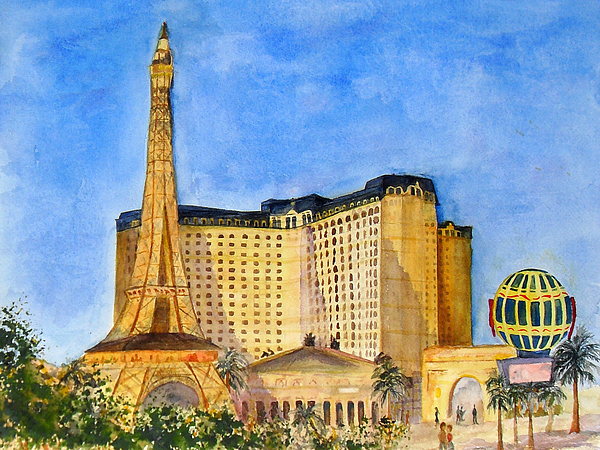 I really like your style and interpretation of the Vegas skyline on this! Thank you very much Sidney! Vegas is fun to experience at least once! Thank you for your comment! Hallo Vicki, it's a very nice picture. Beautiful work! 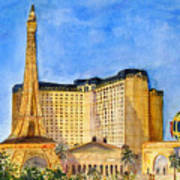 I like the perspective too - thanks for your kind comment on my painting and for stopping by! What a nice compliment Linda and Nanybel. Thank you! I love this painting, Vicki! So vibrant and colorful scene. This is so beautifully done Vicki!! 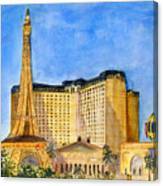 I simply love Las Vegas and it makes my day to see your lovely works of these iconic hotels!